For Kim McAbee-Carter, the founding of a Hall-of-Fame to honor musicians from Bakersfield made a lot of sense. As a singer, she performed regularly at the Crystal Palace in Bakersfield singing alongside country music legend Buck Owens. She sang with him right up to the last night he performed in his adopted hometown. Buck died in 2006, and while the music went on over the years for Kim, a deep-seated idea to honor Bakersfield music performers continued to grow. That idea has led to the creation, along with her husband, of the Bakersfield Music Hall of Fame. The Hall of Fame honors the people who made Bakersfield proud. It also contains items you might see in a music museum. And it is a venue for the performing arts. While this Hall of Fame is a home for all genres of music, there’s no doubt the initial focus is on country. To be specific: The Bakersfield Sound. The Bakersfield Sound was a title given to the music pioneered by Buck Owens and the Buckaroos, his lead guitarist Don Rich, and the legendary Merle Haggard. The Bakersfield Sound is described in my book 9 from 99, Experiences from California’s Central Valley as “Country, with an emphasis on electric guitars that sound as though the treble has been turned way up.” There are other definitions, but I’ll stand by mine. 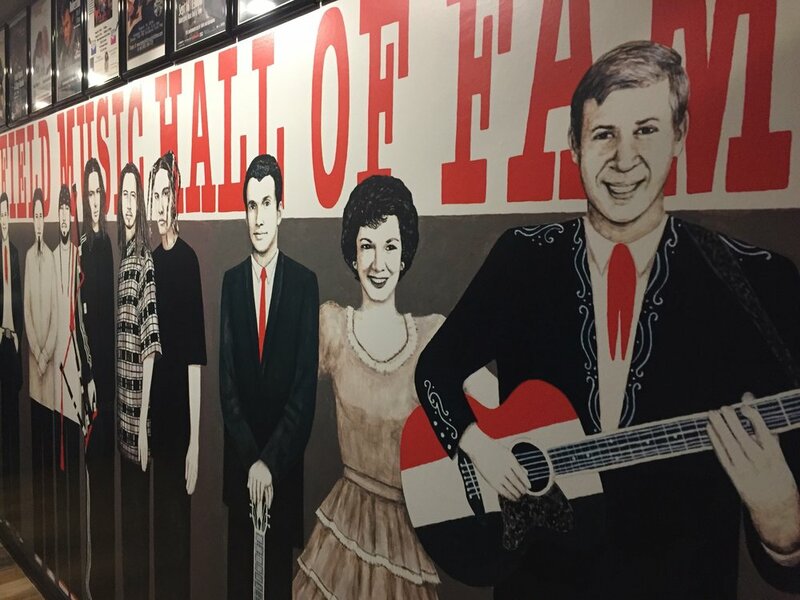 The Bakersfield Music Hall of Fame is more than a tribute to the Bakersfield Sound. In the inaugural class of seventeen Central Valley music artists, country accounted for the first five honored in 2017. The honorees range from country, nu metal, opera, and beyond. To give each honoree an appropriate induction, the inaugural class was divided into three smaller classes. The first five are: Buck Owens, Merle Haggard, Bonnie Owens, steel guitarist Billy Mize, and singer songwriter of truck driving songs Red Simpson. “The inaugural Class was broken into three sections so that we could spend time honoring each individual,” Kim says. The honorees have been featured in original artwork. The original art hangs in the conference room of the Hall of Fame, but an enlarged life-sized version lines the walls in the public areas. While this is first a Hall of Fame, there are interesting things to see throughout the facility. There’s a piano that Buck Owens had made just for him. He used this piano on many of his recordings, and played it practically every day when he was performing in his later years. “It’s a Knabe piano,” Kim says. Kim also bought a jukebox that greets Hall of Fame visitors. The jukebox contains the hit records of the inducted artists. In her office, she proudly displays a red, white, and blue guitar given to her by her former boss. As a member of Buck’s band, the Buckaroos, she sang regularly with him on the road and at the Crystal Palace night club just off the Buck Owens Drive exit of California highway 99. The Bakersfield Music Hall of Fame is also a performance venue. 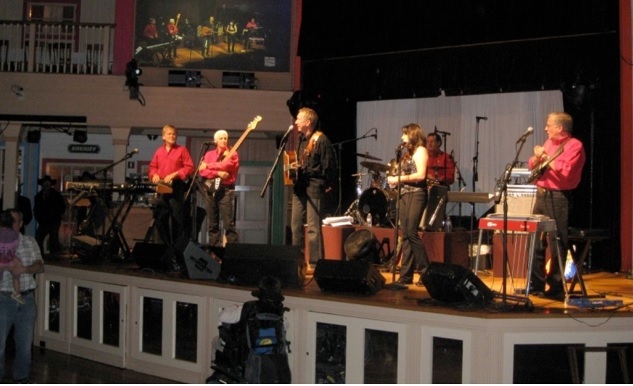 Professional acts are booked to the Hall of Fame stage, local performances hold their shows there, and the facility is offered to other organizations for events and parties. The place has been the scene for receptions and the Hall of Fame induction ceremonies. “We’re very proud of what we are trying to accomplish here,” Kim says. The history of American music can be told through many chapters. Cleveland’s Rock and Roll Hall of Fame tells the rock story. Nashville’s Country Music Hall of Fame has grown from a modest beginning in the 1960s to a world repository for country music. There are at least two states that have Jazz Hall of Fames. Near my hometown in upstate New York, there’s the North American Fiddlers Hall of Fame in Osceola. 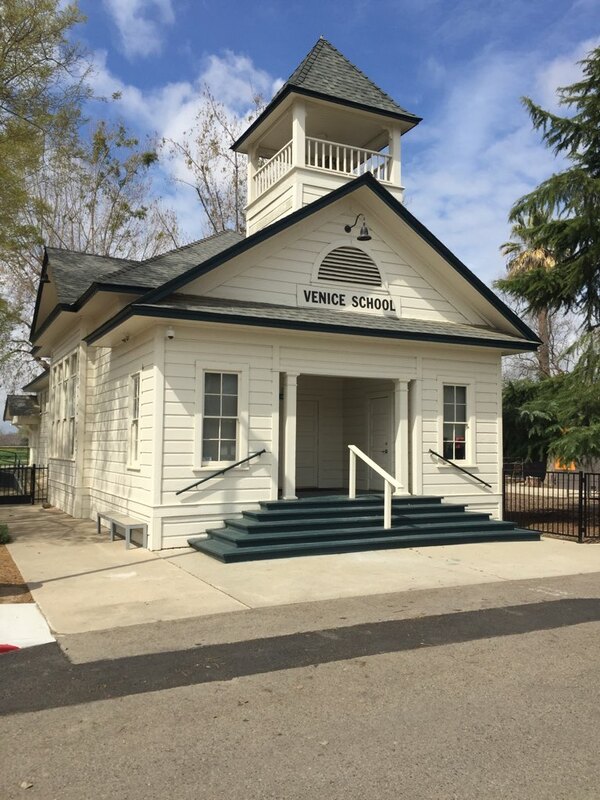 This Hall of Fame is taking a different approach and calling out the significant contributions from some local musical contributors who either lived in or near Bakersfield, or who made the city their home later in life. Kim McAbee Carter thinks it’s only right that Bakersfield have a place to honor these artists. She believes her former boss, the late Buck Owens, would be proud of what she and the Fall of Fame leadership have done for Bakersfield. “His thoughts would either be he thought about it first and then was glad someone else did it,” she says. 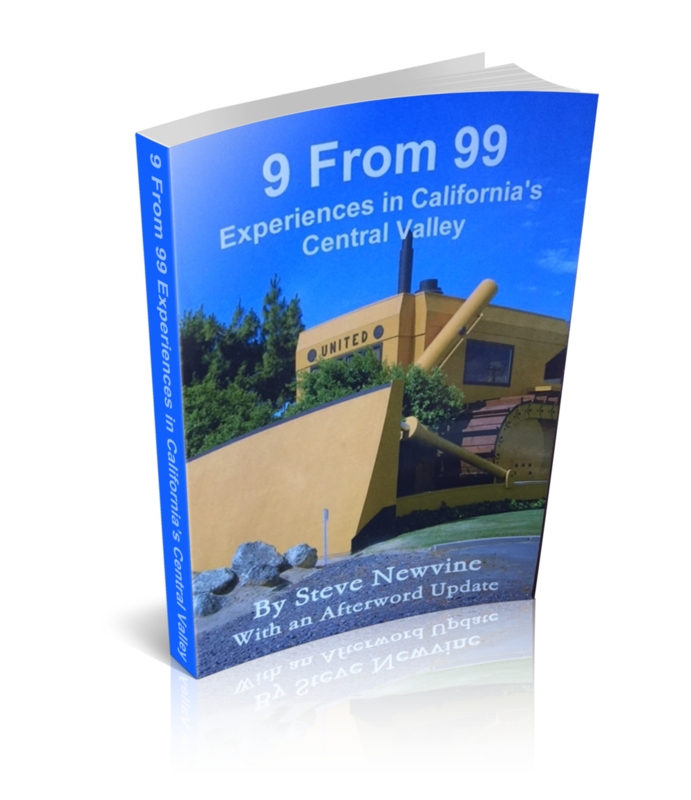 He first wrote about Bakersfield in his book 9 From 99, Experiences from California’s Central Valley, first published nine years ago. It’s not every day one gets an opportunity to see a free photography exhibit in the community. But this month is extraordinary. There are two exhibits running in March. Both celebrate Yosemite and the Merced River. One River- two Perspectives features the work of local photographers Jay Sousa and Roger Wyan. The pair has worked together in their separate photography businesses for many years. So coming together to jointly present this representation of the Merced River came naturally. Jay Sousa told me on the KYOS Community Conversations program when I filled in for host Roger Wood. While Roger Wyan agrees that the River and the Park are a natural fit for a nature photographer, his contribution to the Merced College exhibit was inspired by the great impressionist artists of France. “I visited Paris recently, and was awestruck by the work of these wonderful impressionist artists,” he said. Both photographers were pleased to share the exhibit space that generally features the work of just one artist. Sharing was a challenge of sorts to appropriately showcase both photographers. Roger sums it up with just a few words. Poster showing some of the original art work included in the newest exhibit at the Courthouse Museum. Just as local photographers Jay and Ryan are showcasing their original work, there’s an exhibit of mostly original photographs, art work, and artifacts at the Courthouse Museum in Merced. The Originals of Yosemite features original photographs and memorabilia all tied to the National Park. The local photographers who offered originals for this exhibition include UC Merced Chancellor Dorothy Leland and Museum volunteer Donna Lee Hartman. “We pulled a lot of stuff from our archives,” Donna Lee says. Steve Newvine views a large framed photograph from Yosemite at the Courthouse Museum Exhibit The Originals of Yosemite. Photo: Donna Lee Hartman. Beyond the photographs, there’s art work from local artists including a covered bridge painting by Vivian Knepel from 1980. Vivian turned 100 in January. There’s a place setting from the dining room at the Ahwahnee Hotel (now known as The Majestic Yosemite Hotel), a scout outfit on the Museum’s mascot bear cub, and even some of Ansel Adams earlier works from before he became famous. Most of the items are originals. All of it well cared for by the Museum volunteers and staff. 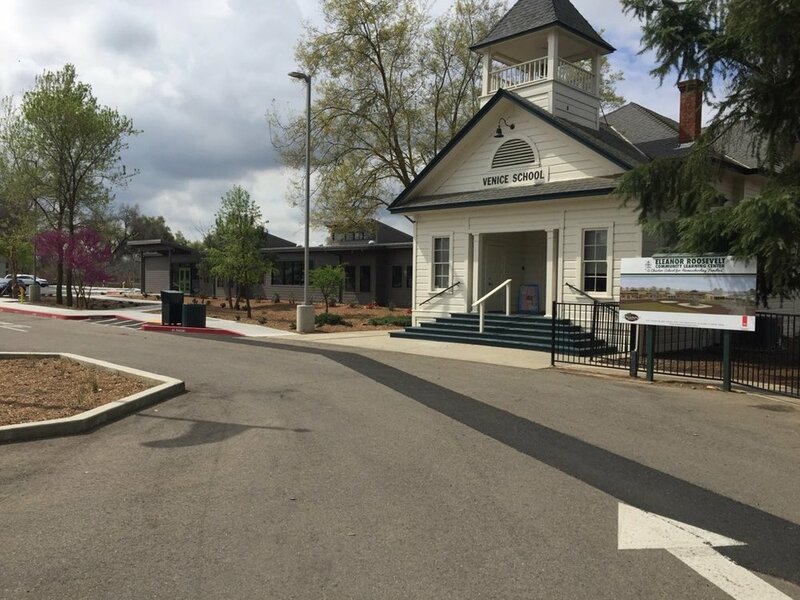 Without realizing it, both the Merced College Art Gallery and the Merced County Courthouse Museum have turned this month into a salute to our two natural wonders: the Merced River and Yosemite National Park. A visitor can see them both in one day. Both are free. 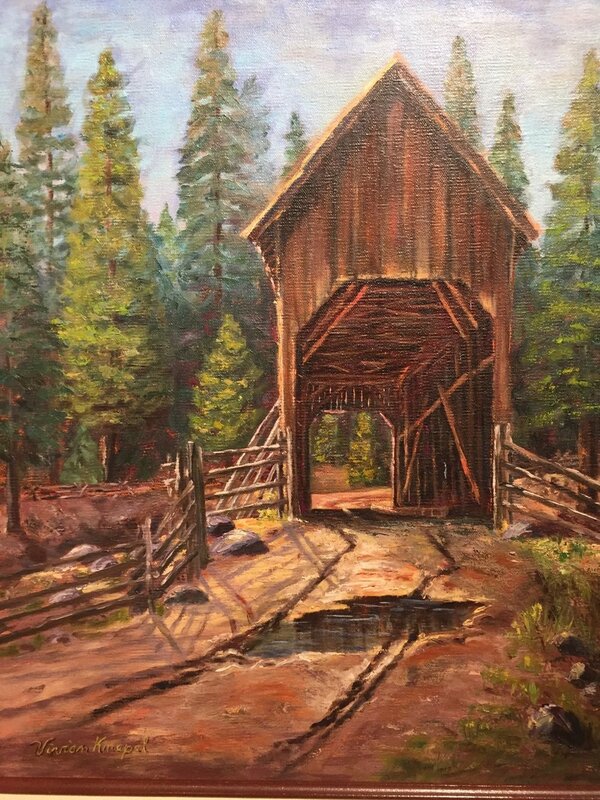 This covered bridge painting that is part of the Originals of Yosemite exhibition is from Vivian Knepel. She was well-known for paintings of a variety of scenes from Yosemite. 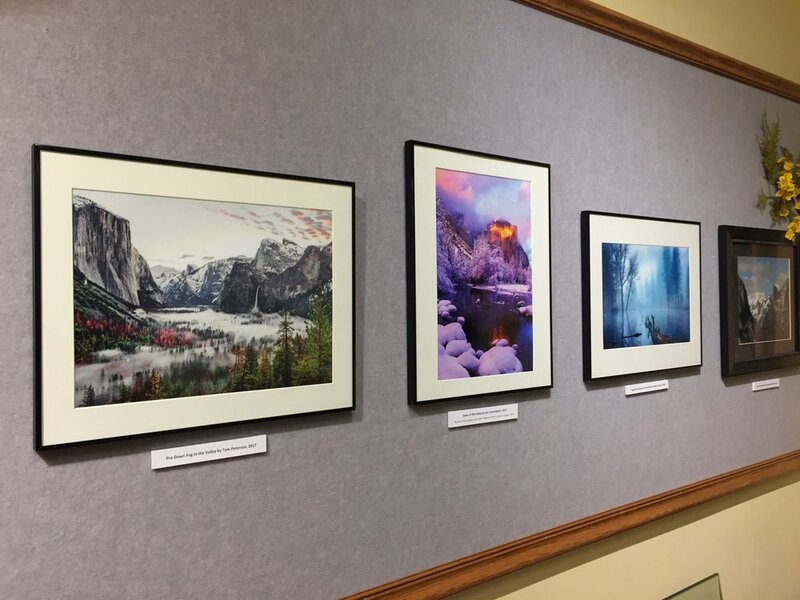 While the One River – Two Perspectives photographer exhibit at Merced College ends on March 21, the Originals of Yosemite will go on until early June. It’s not every day one can experience so much local history, art work, and memorabilia. Take advantage of it all. After seeing the photographs, art, and artifacts from these exhibitions, consider making plans to take in Yosemite National Park this year. Some amazing research going on at UC Merced is being celebrated with the whole community. If I remember my fifth grade instruction at Port Leyden Elementary School correctly, the scientific method begins with an observation, and ends with drawing a conclusion. That’s sort of what UC Merced has in mind for this year’s Research Week. Simply put, if the University can showcase the kind of research going on to the broader community, it can hope to foster stronger links with everyone. The first week of March is traditionally Research Week on campus. The activity is an effort to bring the public in to the campus and to take a part of the campus to the community. Some of the activities during Research Week are eye-catching. There is a study into reusing organic wastes to improve ecosystems going on right now at the UC. At the beginning of Research Week, interested community members had the opportunity to listen to an assessment of the future of safe drinking water in the Central Valley. A campus Assistant Professor helped explain to the audience of students that safe drinking water is being threatened all over the world, including here in California. Middle school students from all over Merced County are getting a chance to showcase their work and take tours of the University’s laboratories. 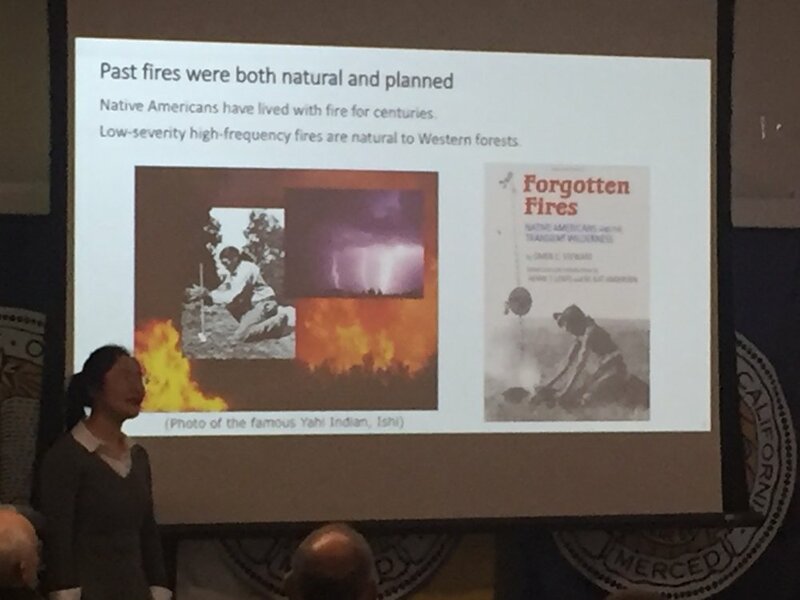 This is not the first time UC Merced has done a Research Week event, but this year was special because it included more venues throughout the greater community. The Sierra Nevada Research Institute presented findings on a number of projects at a luncheon on campus. The schedule for the week included a core facilities lab tour on campus followed a community forum on nicotine and cannabis policy at the Downtown Campus Center, a STEM (science, technology, engineering, and math) fair, and an event called the Community Engaged Research Reception at City Hall. Research Week wrapped with an Undergraduate Research Opportunity Center Scholar Panel where students can get feedback on their work. “This is all about giving the public the opportunity to see the many innovative projects underway,” UC Merced’s Stephanie Butticci explained to me during the KYOS Community Conversations program. UC Merced’s Stephanie Butticci and David Gravano joined me for a segment of Community Conversations on KYOS radio. The complete scientific method follows the observation step with research. After research, a hypothesis is drawn and tested. This leads to the conclusion. Anyone with a passing interest in the research going on at UC Merced are likely impressed with the depth of study, the engagement of students in the process, and the outreach to the larger community. The hypothesis has been tested, and the conclusion is clear: Research Week at UC Merced helps bring the best the university has to offer to the community. When Francois Hennebert brought his broken bicycle to a Merced bike shop for repair one-day last summer, no one knew what kind of impression he would have of the area. Francois crossed into Merced County as part of a twenty-five hundred-mile bike trip from Mexico to Canada. He’s from France and spends several months each year traveling around the world. He took a plane to Mexico and saw three countries on his incredible bicycle trip. You may remember my column on Francois from last summer. Francois’ hearty bicycle had a breakdown shortly after his visit to Yosemite National Park. He made his way to Kevin’s Bikes on Olive Avenue and G Street in Merced. That’s where I caught up with him. 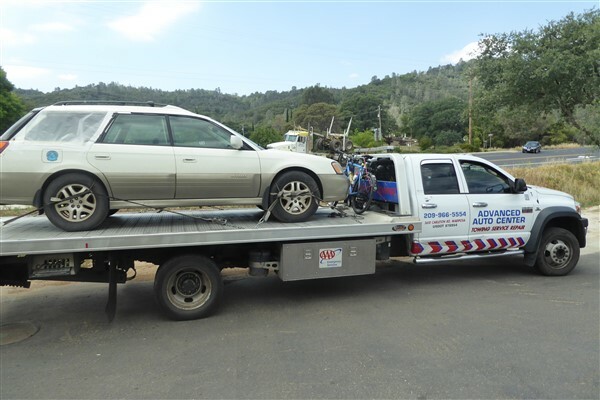 This photo of the tow truck that brought Francois to Merced was taken by Francois Hennebert and is featured on his website: [http://velo.hennebert.fr/] . The bike is between the car on the flatbed and the truck cab. During our visit, where neither of us spoke the other’s native language, Francois told me about his worldwide adventures on his bicycle. He had been on bike trips to China, South America, and New Zealand to name a few places. He gave me his web address and encouraged me to look up his journeys. Our community must have made an impression on Francois. He posted several photographs from his visit here. I recently checked his website and found pictures from his time in the Central Valley. Francois’ bike trip happened to fall in the midst of the primary season. 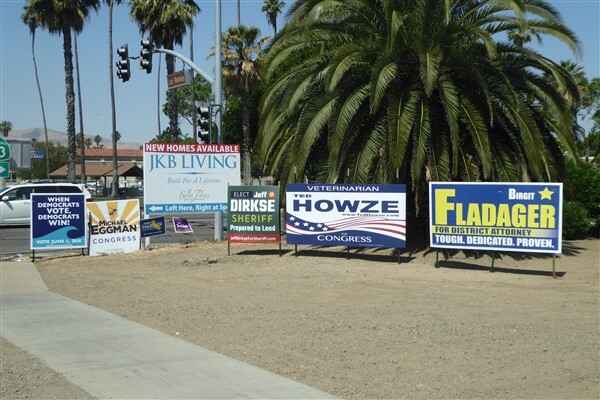 He found signs from the primary election campaigns going on in neighboring Stanislaus County. Francois used this caption for his photograph of a fence covered with campaign signs: des élections locales auront lieu le 5 juin en Californie . In English, this reads: local elections will be held June 5 in California. He seemed impressed by the Castle Air Museum in Atwater. He posted two photos of vintage aircraft from his vantage point of Santa Fe Drive. The photos have the French caption: l'avion furtif, je pense, et une forteresse volante de la deuxième guerre. Prior to his unplanned visit to Merced, Francois had just completed the leg of his journey that took him to the Sonora Pass in Yosemite. 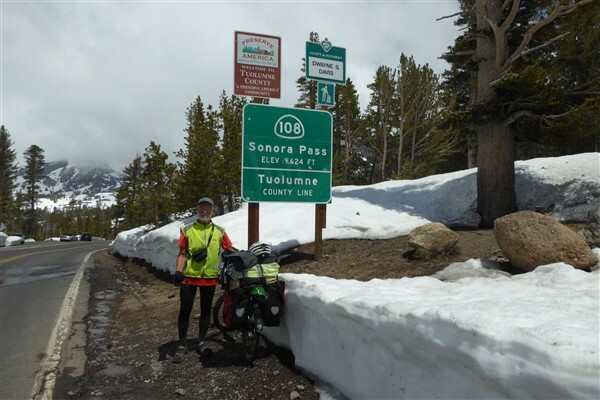 My bicycling friends tell me the Sonora Pass is one of the most difficult biking trips a cyclist can take. I’m a runner, so I take their word for that assertion. Francois’ journey from Mexico to Canada was a success. He took in the Grand Canyon in Arizona, Silver Falls Park in Oregon, and the Space Needle in Seattle. He also enjoyed a large section of California. His unscheduled stop in Merced County showed him a few things he may not have expected like warplanes and political yard signs. Based on his gratitude expressed on-line for the team at Kevin’s Bikes who got his bike back in sound working condition, and the people who helped transport his bike to Merced, he was impressed by the folks he met here. His photo caption from the Yosemite portion of his trip perhaps best describes why he would leave his native France for a bicycling adventure that started in Mexico and ended in Canada. It also suggests his overall impression of the area. His post reads: celui va rester dans ma mémoire . Translation: that will stay in my memory.